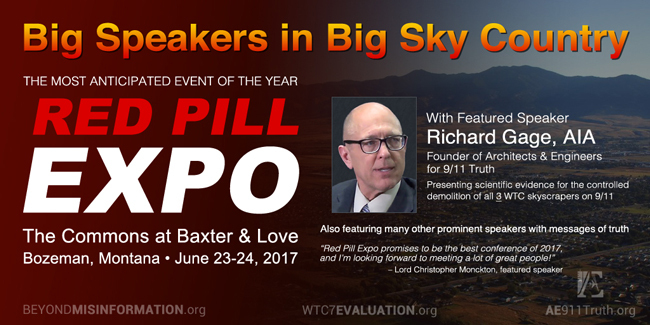 AE911Truth founder Richard Gage, AIA, has been invited to present the 9/11 World Trade Center evidence alongside an impressive array of nationally renowned speakers, who will cover a range of important topics at the Red Pill Expo. 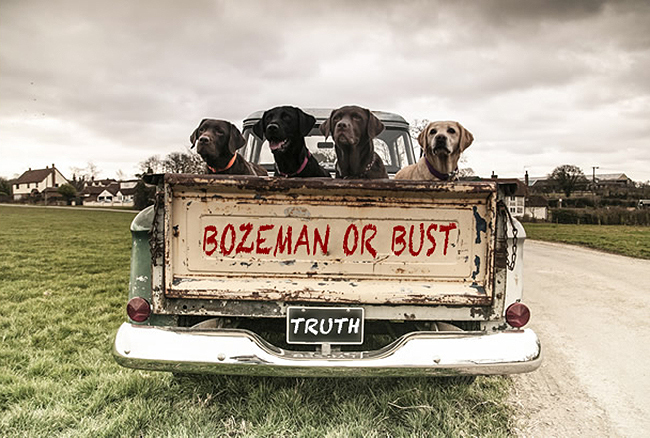 This world-class symposium is being held in the Rocky Mountains in Bozeman, Montana, on June 23 and 24, 2017. For more information, check out the recent radio show with upcoming Red Pill Expo guest speakers, James Corbett of the Corbett Report and Richard Gage. Half of the 500 available tickets are already sold, so get yours today!